To educate the next generation of public health leaders. We aim to achieve our mission locally and globally through innovative science, education, and leadership. We are guided by the fundamental principle that health is a human right. In 1909, the College of Physicians and Surgeons (P&S) of Columbia University issued an urgent call for a "new public health" that would integrate medical and social sciences with biostatistics and sanitary engineering. Thirteen years later, with a $3 million bequest from the estate of Joseph DeLamar, the DeLamar Institute of Public Health opened its doors as a unit of P&S. In 1945, the Institute became the Columbia University School of Public Health. The School's deep connections to New York City developed early on, and in 1939 the City's Department of Public Health and the Institute agreed to share a building on 168th Street. Committed to marrying health education with service delivery to the local community, the partnership laid the foundation for the School's abiding interest in urban healthcare and population-based research. The public health faculty blazed new trails from the start, collaborating with educators and engineers to address health-related sanitation issues and with social scientists to address socioeconomic-based public health challenges. The latter partnership produced a landmark 1959 study conducted by Dr. Ray Trussell (director of the School from 1955 to 1968) and Dr. Jack Elinson (who later founded the School's Division of Sociomedical Science) which demonstrated much higher rates of chronic disease among a rural population in New Jersey than previously reported. The study pioneered both on-site health examinations and new techniques in sampling to collect valuable medical data. The Mailman School continued to break new ground as the first institution to establish programs in sociomedical sciences and psychiatric epidemiology training, the first to offer a joint degree in business and public health, and the first to provide graduate education in hospital administration. During the early 1980s, the School recognized the changing landscape of public health and adjusted its focus to meet those new challenges. HIV/AIDS treatment and containment, increased access to healthcare for all, and health issues affecting women and children became critical research priorities. During this time, the School gained significant administrative independence. In 1998, the School was renamed to honor Joseph L. Mailman, a prominent businessman dedicated to issues of health and education, whose foundation offered a transformational $33 million gift. Soon thereafter, the Mailman School became a Faculty of Public Health, one of the four Faculties in Columbia's Faculty of Health Sciences. The School now supports itself via revenue from research activities, tuition, gifts, and its endowment. The Mailman School of Public Health's main home is located in the 20-story Allan Rosenfield Building, named in tribute to Dean Rosenfield and his remarkable 22-year tenure. Tapping into the valuable synergies available within the Columbia community, the School now offers nine dual-degree programs with other Columbia schools. 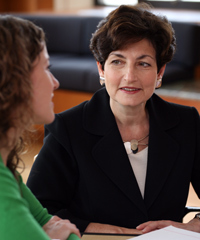 In May 2008, Columbia University announced the appointment of Dr. Linda P. Fried as dean of the Mailman School. A national leader in the field of geriatric health and epidemiology, Dean Fried previously led Johns Hopkins' Division of Geriatric Medicine and Gerontology and the Bloomberg School of Public Health's Program in Epidemiology of Aging. From the outset, Dean Fried has engaged faculty, students, alumni, and key stakeholders to identify the role the Mailman School should play in addressing future public health challenges. Under this new strategic plan, the School will continue to focus on areas where it has traditionally excelled, such as HIV and other infectious diseases, mental health, reproductive health, and environmental health, and will build on the School's strong legacy of work in global and urban health, children's health, and food policy. The plan also calls for building research strength and expertise in areas of critical importance in the 21st century, such as chronic disease prevention, climate and health, systems science, and ensuring the health of an aging society by taking a lifecourse approach to the prevention of disease and disability. All of these initiatives require focus, multi-level analysis, new health system models, and interdisciplinary collaboration and leadership. 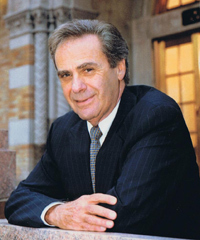 The School's educational mission has also been a cornerstone of Dean Fried's tenure. In the last few years, Dean Fried has led an intensive schoolwide effort that involved more than 150 members of the faculty, plus students, alumni, and employers, to reshape the School's MPH curriculum. The new programs, the Columbia MPH and Accelerated MPH, provide the broad systemic understanding, critical thinking skills, and leadership training needed to tackle today’s complex public health challenges. The Academic Partnership Program gives students and alumni at Columbia University Mailman School of Public Health free Fellowship at Impactpool. Sign in to your account, then add your Columbia University Mailman School of Public Health email to your account and come back to this page. Sign up for free with your Columbia University Mailman School of Public Health email using the form below.